The reality star welcomed a baby girl early this morning. Update, 1:21 PM: Though no members of the Kardashian-Jenner family have personally commented Khloé’s baby news yet, the official Keeping Up with the Kardashians Twitter account congratulated the reality star on welcoming a baby girl, basically acting as confirmation. 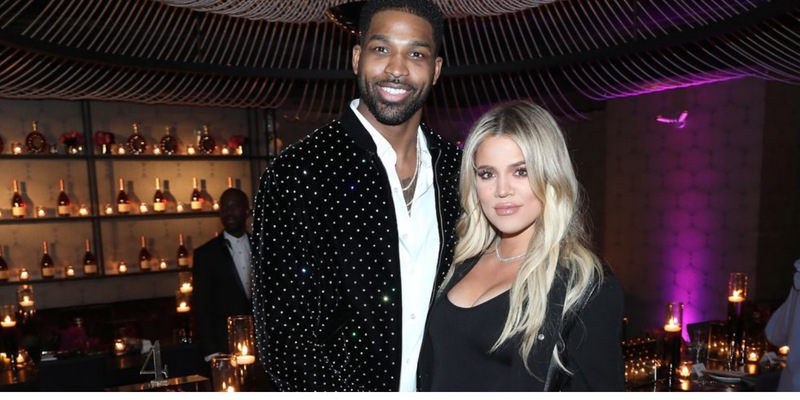 Update, 4/12, 12:55 PM: TMZ reports that Tristan Thompson was present in the delivery room during the birth of he and Khloe Kardashian’s baby girl, despite ongoing cheating allegations against the NBA player. Original Article, 4/12, 12:40 PM: Khloé Kardashian has given birth to a baby girl, TMZ reports. This marks the first child for the reality TV star, 33, and her NBA beau, Tristan Thompson, 26. Though Kardashian has yet to confirm the news herself, she reportedly gave birth at a hospital outside Cleveland at 4:00 AM this morning. According to TMZ, Kris Jenner, Kourtney, Kim, and Khloe’s BFF Malika were by her side during the birth. 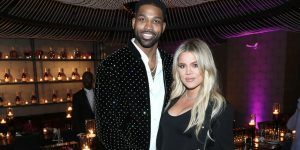 It isn’t clear if boyfriend Tristan Thompson was present for the birth of the child amidst cheating rumors, although TMZ reported earlier that Kardashian would allow him to be in the room regardless of ongoing drama. Kardashian allegedly “doesn’t want her personal feelings to ruin” the milestone of welcoming a child, and is “putting her feelings on hold,” insiders added. Rumors first spread of Khloé’s pregnancy in late September, not long after Kylie’s baby news broke. In October, People confirmed the couple—who started dating in 2016—was expecting a baby boy. Kardashian kept quiet on the rumors but finally confirmed the news in December 2017, when she shared a photo of her baby bump on Instagram. She also explained why she kept the pregnancy news private at first. “I knew we’ve been keeping this quiet but we wanted to enjoy this between our family and close friends as long as we could privately. To enjoy our first precious moments just us,” she wrote. Since then, Kardashian continued to open up about her pregnancy journey on social media. In one standout photo, she and Kylie Jenner flaunted their baby bumps in a rare photo of them pregnant together. “Never in a million years did I think we should do this together but it’s been that much more special because of it,” Khloé wrote. The road to motherhood wasn’t entirely easy, however. In an episode of Keeping Up With the Kardashians, Khloé revealed she had difficulty walking after experiencing pain during her pregnancy. On March 10, weeks before giving birth, Khloé hosted a swanky baby shower with her and Tristan’s friends and family. The soirée was filled with roses, balloons, and baby pink décor. The Kardashian-Jenner sisters were present, as well as Kris Jenner and Tristan’s mother, Andrea.